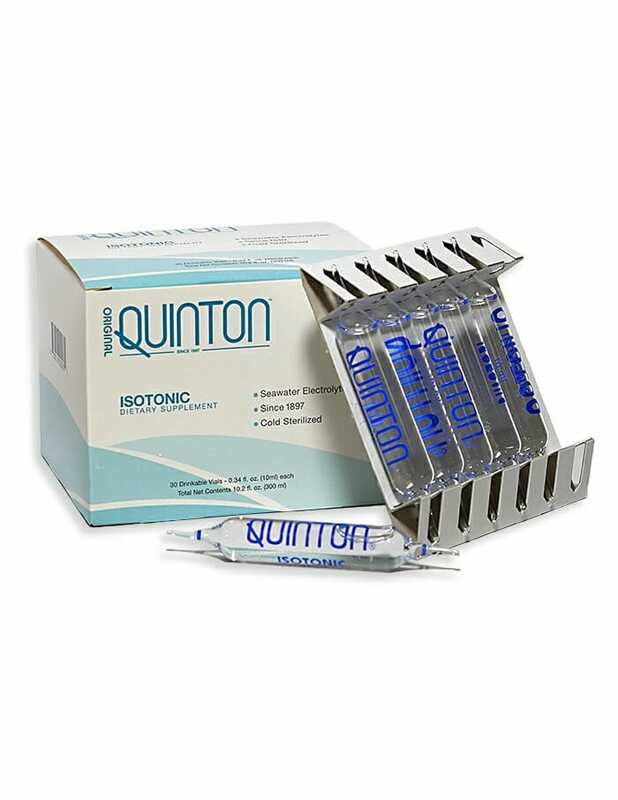 Quinton Isotonic is pure marine plasma diluted to match the concentration of your blood and is a more gentle formulation when comapared to Hypertonic. 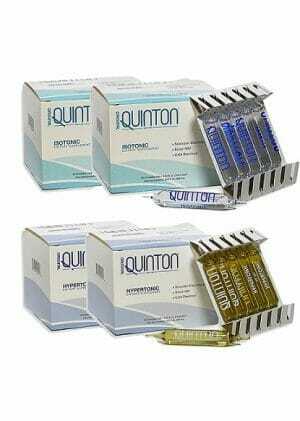 Isotonic is ideal if for a sensitive system, restoration, deeper sleep, emotional and physical balance, and relaxation. With Free US Shipping. Try a larger count for bundle discounts! 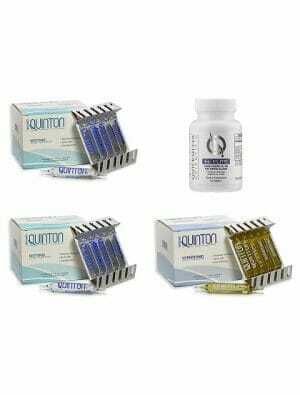 Quinton Isotonic marine plasma has been applied by thousands of doctors in clinical and emergency settings for over 100 years throughout Europe, Asia, and South America. May provide nutritional support for energy, endurance, focus, recovery, flexibility, and more! Quinton Isotonic was featured in the Dictionnaire Vidal (France’s equivalent of the Physicians’ Desk Reference) from 1953 to 1999. Hypertonic is pure marine plasma that is three times the mineral concentration of your blood. Hypertonic is ideal for energizing, rapid re-mineralization, and building the physiology. Health professionals report application for dramatic energy increases, mental focus, sports performance and challenged immune systems. Hypertonic is a good way to start your protocol if your are generally healthy or looking for athletic performance. Many Hypertonic users report positive results switching to Isotonic after several months and back to Hypertonic occasionally to regulate their system. After trying both, many just “know” which one they need when. Other Ingredients: Purified spring water, Seawater. Drink 1 to 4 vials daily on an empty stomach as recommended by your healthcare professional. Take the marine plasmas on an empty stomach; 15 minutes before meals. For the first month: One to two isotonic vials per day. After 3 to 9 months: One to 6 vials per week (may want to alternate which form you take, depending upon physiological needs). During the season: ONe hypertonic vial prior to work out and one isotonic vial after. One to three isotonic or hypertonic daily for up to 4 months or longer. Hypertonic may be sprayed topically onto desired area or soaked into gauze and applied to desired area. One to three isotonic vials daily for the first 2 weeks. Thereafter add 1 to 2 vials of hypdertonic every other day along with the isotonic. Taking it with pro-biotics is helpful. Two to three vials of hypertonic spaced throughout the day between meals. It is recommended that a quality probiotic be taken at the same time as the hypertonic. Two vials of either isotonic or hypertonic put into a cup or feeding bottle. Can be mixed with diluted natural fruit juice or just given by its self. 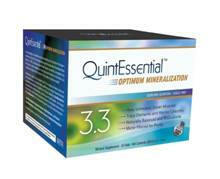 Maintain supplementation of 1 to 2 vials per day for at least 1 week.